I've promised my crafting group here in Loveland that we would do more than create cards this year. While we all love card-making, we just thought changing it up once and a while would be fun! In particular, I want to teach them some cool mixed media techniques. Since my previous posting last week, I have made even more sample eggs for my upcoming workshop. 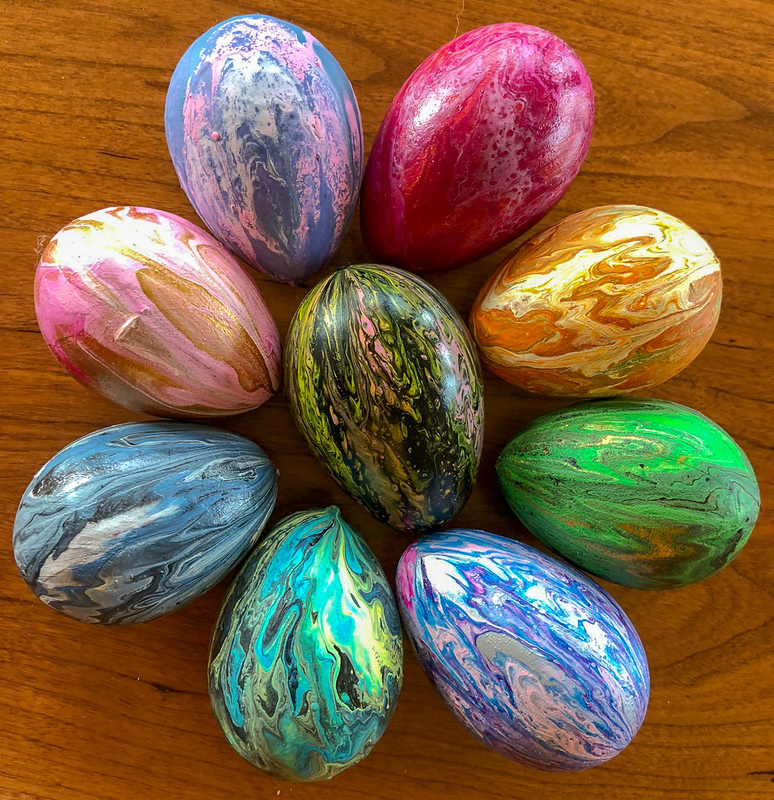 The class is this week -- just days before Easter -- and we are going to practice acrylic pours on Easter eggs, which they can take home. Then, once they feel confident, we will pour acrylics onto Christmas ornaments that we will sell at our charity bazaar at the end of the year. Lots of experimenting has occurred in my art studio over the last few weeks. I've been mixing acrylics with the pouring medium, Floetrol. 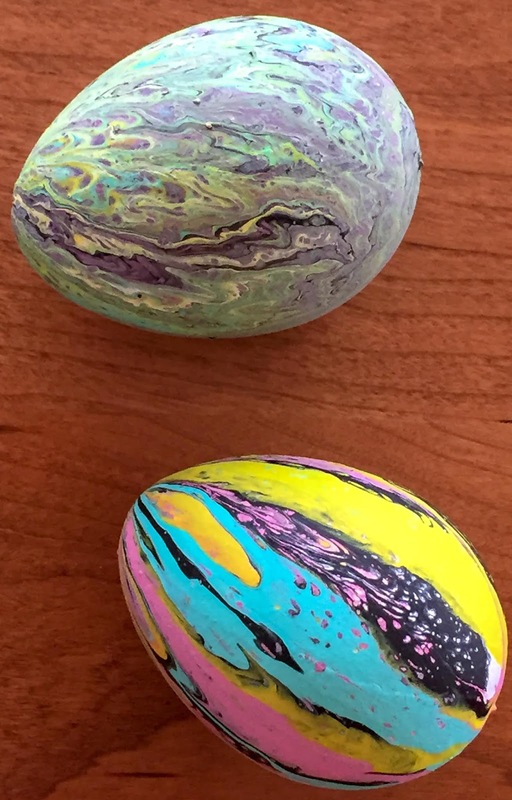 Acrylic pours create amazing marbling and cell action in the egg, as you can see from some of these photos. In addition, I created super glimmery paints by mixing ColourArte's Primary Elements pigment powders with PolyPour medium -- these products are available directly from ColourArte.com. I produced an EGGS-TRAVAGANZA video that shows how I poured the paints and decorated the eggs. Feel free to click the link and have a look, and I hope you have a chance to play with paint pouring, too. 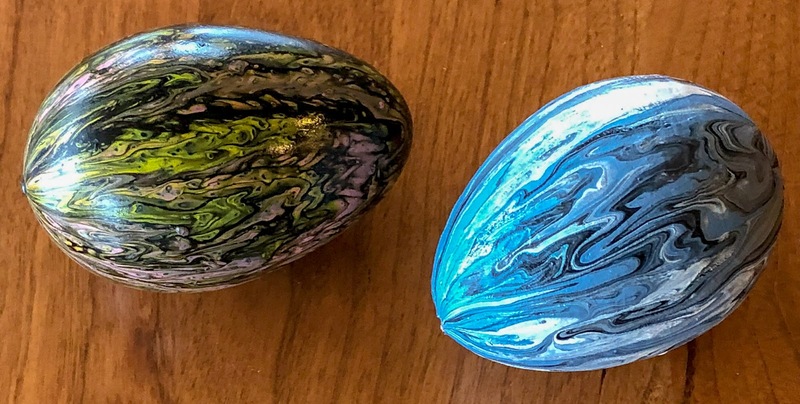 You can use the same technique on clear glass Christmas ornaments. One of the first item that I ever "altered" was a papier-mache Easter egg. Last year, I "gifted" most of those original eggs, and this year's basket was looking a bit empty. 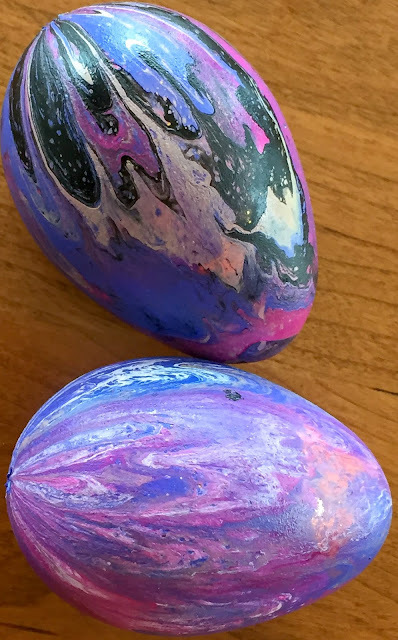 I decided to replenish my decorated mixed media eggs and also share the techniques with friends in a workshop at my church. 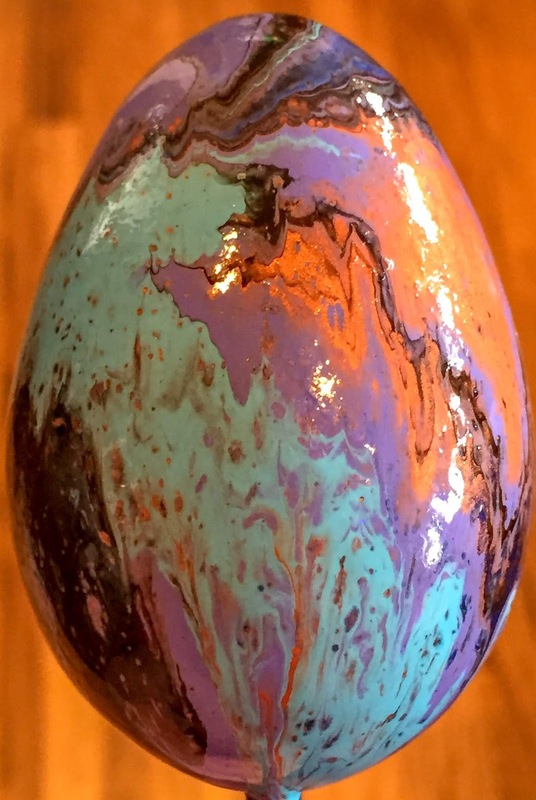 The week of Easter, we will be doing speciality acrylic flow pours onto both plastic and papier mache eggs. Here are some of the samples for the class.